Stephen Hawking to rest in peace next to Newton and Darwin. March. 22, 2018 07:57. by Taek Kyoon Sohn sohn@donga.com. World-renowned theoretical physicist and cosmologist Stephen Hawking will rest in peace next to Isaac Newton and Charles Darwin. Space.com, a U.S. space and astronomy news website, reported Tuesday that London’s Westminster Abbey decided the ashes of Stephen Hawking would be interred later this year at the thanksgiving service near the grave of Isaac Newton. The thanksgiving service will be held in commemoration of the late scientist. 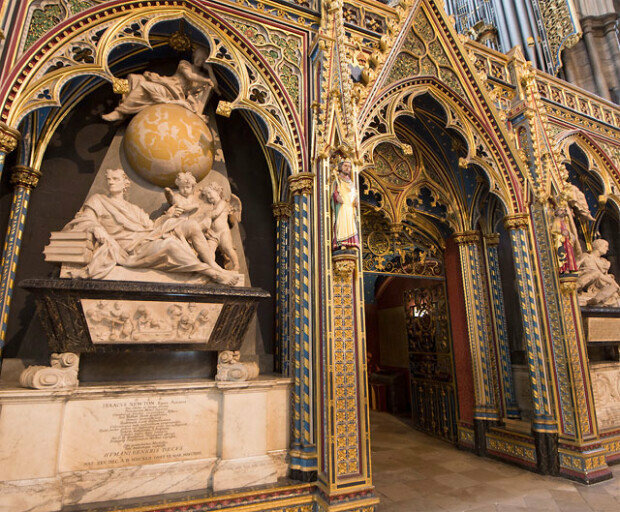 Newton and Darwin were interred at Westminster Abbey in 1727 and 1882, respectively. “It is entirely fitting that Hawking’s remains will be placed in the abbey near those of distinguished fellow scientists. We believe it to be vital that science and religion work together to seek to answer the great questions of the mystery of life and of the universe,” said the Very Rev. John R. Hall, the dean of Westminster.